Well Iain McNicol responded to my email. I had written making the point that I had not yet had sight of the reasons for my suspension from the Party whereas the Daily Telegraph had been informed. 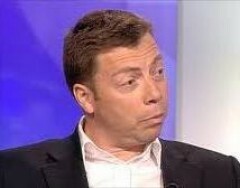 McNicol responded ‘entirely refuting’ that the leak was from the Compliance Unit. Since it could hardly come from me, it begs the question where it did come from. MI5 is about the only other candidate unless there has been a burglary at Labour Party headquarters. I have written back to McNicol asking who the hell could leak this information bar the complainants themselves, though the story in the Te legraph suggests that they also knew details of what it calls my previous application. In fact I applied to become a registered supporter not a member. If it was the complainant that should throw doubt about their motives for making the complaint in the first place. 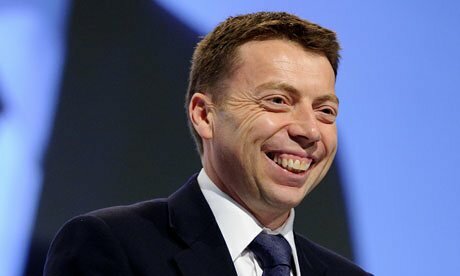 It is therefore a deliberate lie and of course McNicol is hardly going to investigate his own lies. The fact remains that the Zionist lobby in and outside the Labour Party has targeted a Jewish anti-Zionist with strong anti-fascist credentials for having the temerity to criticise the racist Israeli state and its actions. It is however gratifying that yesterday, after less than 2 days notice, some 52 Jewish members of the Labour Party put their names to a letter to the National Executive opposing my suspension. Despite writing twice to the Compliance or is it Constitutional Unit, as Mr Stolliday titled it, noone responded to my correspondence. The first email was sent c/o a Ms Sophie Goodyear, who didn't have the courtesy to even acknowledge my correspondence still less to inform me of Mr Stolliday's absence or who was deputising for him. In any event Mr Stolliday bears the responsibility for the department of which he is the head, a department which has a culture of leaking. I will ask you once again. Are you going to investigate how and why the details about why I was suspended were leaked to the Daily Telegraph, a paper which is almost an appendage of the Tory party? If not why not? If it wasn't leaked by the Compliance Unit, unlikely in view of the above, then it could only have been leaked by the Complainants, in which case their motives for making the complaint should immediately be suspect and itself negate continuing with their complaint. I am therefore faced with the situation whereby information has been handed over to The Telegraph concerning my suspension yet I have not been given any information other than via the Tory press. I will therefore ask you now to instruct the Compliance Unit to send me the full dossier of allegations and complaints which have been made against me. You say that you regret that information was leaked to the media but I see no signs that you are prepared to do anything about it. If you are unwilling to take action regarding the leak of information and are also not prepared to ensure that I am given full information regarding the complaints made against me then, as General Secretary of the Labour Party, you are also complicit in what has happened. I am aware of your suspension and that Harry Gregson, as the investigating officer, has written to you to about the matter. I am disappointed that you have taken the opportunity to make an unwarranted attack on a hardworking and diligent member of the Compliance Unit. John Stolliday has been out of the country on leave since 21st March, and no doubt he will respond to your outstanding correspondence upon his return. Like you I regret that information was given to the media. However, I entirely refute the allegation that the Compliance Unit leaked any details of your suspension to the Daily Telegraph or to anyone else. The investigation will proceed as set out and you will, no doubt, make your points clearly to Mr Gregson. I enclose a letter to Jeremy Corbyn regarding my suspension on March 18th. I was given no reason for my suspension other than it was for comments I was alleged to have made. Despite refusing to let me know what the comments were they were leaked to last Saturday's Daily Telegraph. I have previously written, twice, without a response to John Stolliday asking for details of the same. He did not deign to reply. Instead he or someone in his department decided to leak that information to the Daily Telegraph of all papers. The allegations appear to be regarding anti-Semitism. Since I have been an anti-fascist activist most of my life and I have even written the only book on the fight against fascism in Brighton and on the South Coast this is pernicious nonsense. I oppose Zionism, I don't support anti-Semitism. Unsurprisingly since I am Jewish. In view of the deliberate leaking of details of my suspension to the Tory press, I am asking that Stolliday be immediately suspended and an investigation begun into who leaked what. Times Prints Letter But Savagely Cuts It!